If Marco Rubio is chosen as Mitt Romney’s vice-presidential candidate, as many have speculated, we’ll soon learn a lot more about the Florida Senator and young Republican superstar. But we’re also likely to continue hearing about another part of Rubio’s past: whether his family are Cuban exiles or not. Since The Washington Post alleged last fall that Rubio misrepresented facts about his parents’ journey to America—his Senate biography stated that they fled Cuba in 1959 after Fidel Castro came to power, though they had first left in 1956 and returned in 1961—the senator has been maligned as a liar. The media has even called into question his description of himself and his family as exiles rather than commonplace migrants. Unfortunately, this debate reveals less about Rubio than it does about most Americans’ ignorance of Cuban history. One of the hardest challenges faced by those of us who have lived under tyrants is the task of explaining dictatorships to Americans. The hardest point of all to explain is that a lousy despot can often be succeeded by an even worse monster, and that those who flee from them sometimes become exiles two or three times over. It’s a subject that conventional American wisdom has long reduced to a simplistic and vacuous either/or formula: Surely, no Cuban could hate both Batista and Fidel. This is why so many Americans—even educated journalists—have trouble grasping that it would never occur to most Cuban exiles to quibble over any Cuban’s year of departure from the island. The truth is this: Marco Rubio’s parents left Cuba during the Batista dictatorship, hoping to someday return to a free and prosperous Cuba. Unfortunately, Fidel Castro proved far worse than his predecessor, so, after a relatively brief and tentative attempt to resettle in post-Batista Cuba, his family realized that their dream could not be fulfilled. Faced with the grim realities of Castrolandia, which they tested out first-hand, they decided to remain in the United States, never ceasing to yearn for their homeland, ever frustrated over the enslavement of their nation. Any Cubans returning from the United States in the early 1960s, like the Rubio family, could not help but notice that life in Cuba had become intolerable for anyone who was not a die-hard communist. I know so many Cubans who left the island during Batista’s dictatorship that I cannot even count their number; every one of them who returned to post-Batista Cuba—save one of my relatives who was a communist and loved Fidel—found it necessary to flee to the United States once again after getting a taste of the Castroite totalitarian state. I have one cousin who lived in the United States before 1959 and returned to Cuba only to find himself thrown in prison for nearly twenty years, simply for opposing the Castro regime. Worse than that, his father was imprisoned and tortured too, just because he had a renegade son. The fears that drove Marco Rubio’s parents to flee Castro's Cuba, then, were very real—indeed, they were exactly the same fears that drove out others who had never before left their homeland. This is a point that the Washington Post reporters who “exposed” Rubio's deceit failed to appreciate. Stressing that Marco Rubio’s parents had spent very little time in post-Batista Cuba, they insinuated that they really never experienced oppression on the island. But no one returning to Cuba in 1961 needed more than a day or two to experience the full crushing weight of repression. 1961 was the year when private property was abolished, bank accounts were seized, and the Bay of Pigs invasion lead to waves of politically-motivated arrests (including of my cousin and uncle). It was also the year when spy houses were set up on every city block, children began to be subjected to heavy-handed indoctrination in schools, and Cuban parents started sending their children by the tens of thousands to the United States, just so they could live in freedom, not knowing if they would ever see them again. (I was one of those 14,000 kids, and so was my brother.) In sum, no one could fail to notice what a hellhole Cuba had become in 1961, and how utterly dark its future seemed. So I don't see why it is considered a distortion for Marco Rubio to speak of himself and his family as political exiles. Anyone who flees from oppression—willingly or not—and fears returning to their homeland is an exile. The fact that the dictator you first fled was toppled by an even worse dictator who makes it impossible for you to return does not in any way cancel that out. Indeed, to deny that fact is to deny Cubans their history: Regrettably, they have always had a dictator to flee. It began in the nineteenth century, as Cubans were struggling to win independence from Spain. Cuba’s greatest national hero, José Martí, spent plenty of time in the United States in the late nineteenth century, plotting against Madrid. So did Tomás Estrada Palma, who was headmaster of the Central Valley School for Boys in upstate New York for many years, before becoming the first president of independent Cuba in 1902. The shuttling continued after for the next half century after independence, as political instability continued to drive many Cubans north for a stint in exile. Among these who sought temporary asylum in the United States were two of the best known Cubans of all: the entertainer Desi Arnaz, whose family was driven out by political problems in the 1930’s, and none other than Fidel Castro himself, after he was benignly freed from prison by Fulgencio Batista in the mid-1950’s. By Fidel’s day, doing the exile thing up north had become a prerequisite for any true malcontent or reformist. A few, like Desi, ended up staying; most, like Fidel, went back to make trouble for the tyrant, or waited impatiently for his demise. But the vast majority of Cubans who tried to return to their island once Batista was gone found the political and economic situation there unbearable. In fact, many of the Cuban men who took part in the Bay of Pigs invasion had previously fought against Batista, spent time in the U.S., returned to Cuba, and then—like the Rubios—high-tailed it back north. In their case, these men turned around immediately and invaded Cuba, hoping to liberate it. Yet, under the idiosyncratic definition of “refugee” now being used to measure Marco Rubio’s honesty, not even these Bay of Pigs veterans would qualify as exiles. To be sure, there is a difference between economic and political migration. But in many cases, that distinction obscures more than it reveals. Yes, some Cubans came to the United States for economic reasons, but it was often difficult to draw a line between political and economic dissatisfaction, contrary to the opinion of the “expert” quoted in the Washington Post’s initial attempt to question Rubio’s honesty. Batista was no enlightened despot, and almost all the Cubans who fled to the U.S. during his corrupt dictatorship hoped to return once he was gone. Just for the sake of argument, let’s say that Marco Rubio’s parents came to the United States for “purely” economic reasons—which was rarely the case for anyone at that time, given the violence, repression, and instability in Batista’s Cuba. Does that negate the fact that they found it impossible to return after their country was hijacked by Fidel Castro in 1959? Hardly. If your dream is to return home and you are unable to do that due to an Orwellian nightmare of a regime, then you are an exile. And so are your children. (My three kids consider themselves Cuban exiles, though all were born in Virginia, and are descended from the first Dutch settlers of the Hudson Valley on their mother’s side.) 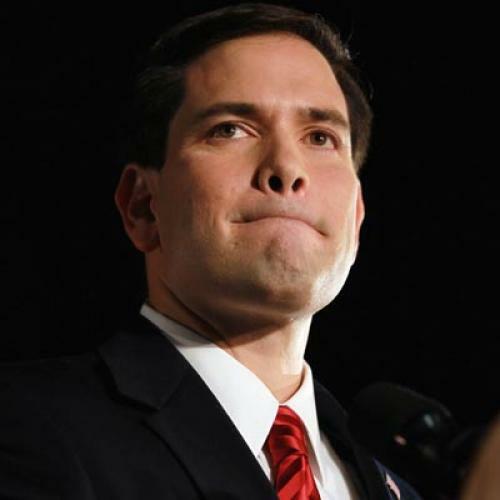 Rubio's story of exile is complex, but it deserves to be recognized for what it is: a tragedy. Its malicious and ignorant reduction to a political point-scoring opportunity, on the other hand, is nothing more than an absurdity. Carlos Eire is the Riggs Professor of History and Religious Studies at Yale University.